Choose from a selection of our estate grown, sustainably farmed wines. Come by for a visit in our Tasting Room located in the beautiful Sonoma Valley. We are open daily from 10:30 to 5:00. Become a part of the family with a membership in the Kunde Wine Club. Exclusive wines and member benefits to be enjoyed in our customizable clubs. 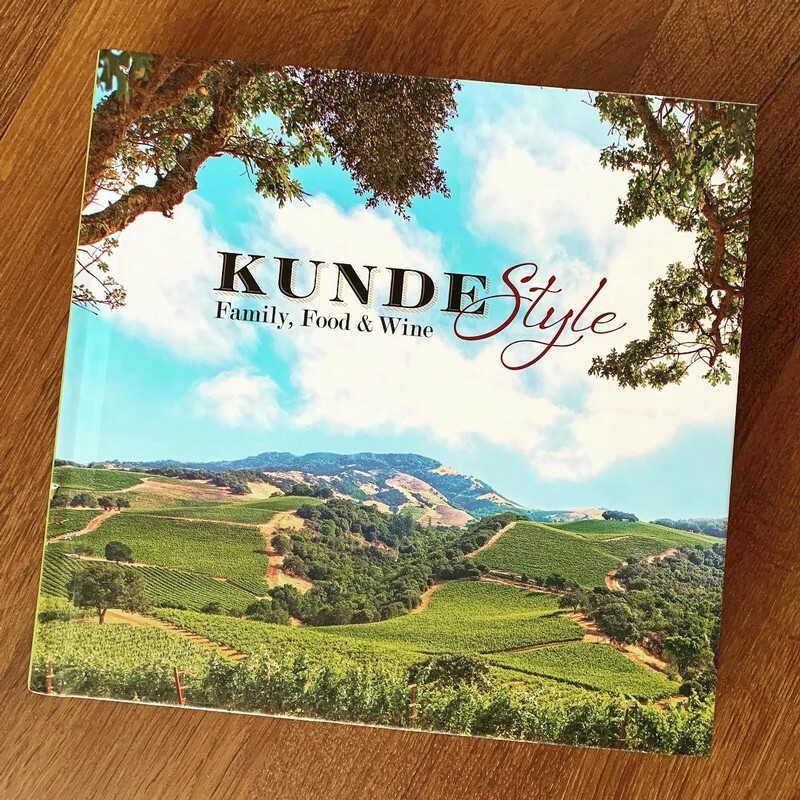 Kunde Style - Family Food & Wine. Bring wine country home! Enjoy this inside glimpse into the Kunde family and winery, with beautiful photography, family photos, and a collection of delicious seasonal recipes with food and wine pairings. Flavors of pomegranate and cranberry combine in this bright, crisp and refreshing wine. A spring favorite! Closed New Year's Day, Easter, Thanksgiving, Christmas Day. Closed at 2:00 pm on November 21, December 24, and December 31. Due to production, our caves will be closed intermittently through May. Please call for availability.